What can be nicer than offering to make your friend a cup of tea? For an older person coming to terms with sight and hearing loss this might now mean a burnt thumb, spilled coffee, or even growing frustration and embarrassment. By sending HiViSUK a £10 donation you can make this possible again and without the risks above! This is all it costs for us to be able to provide an older person a device that tells them how much hot water is in their cup and even when they have added enough milk for that perfect brew. And what could be a better way to pass the time than sitting comfortably at home doing those crosswords you used to love so much again? 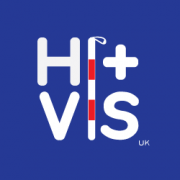 By donating £45 to HiVisUK we can give them a handy sized illuminated magnifier – and we can advise on the correct strength for them. Talk with us about the range of ways your donations can really help change lives. Getting out and about is something we often take for granted. What we don’t think much about is how challenging and sometimes risky that can become if, as an older person, your sight and hearing are both lost. Once this happens you are three times more likely to trip or fall, or get lost and confused. Simple things like finding your way to the bus stop, hearing the instructions at the station, reading the labels in the shops. A few mishaps or frights and you just give up and stay at home. Having someone who knows how to guide you safely and properly is all it takes. 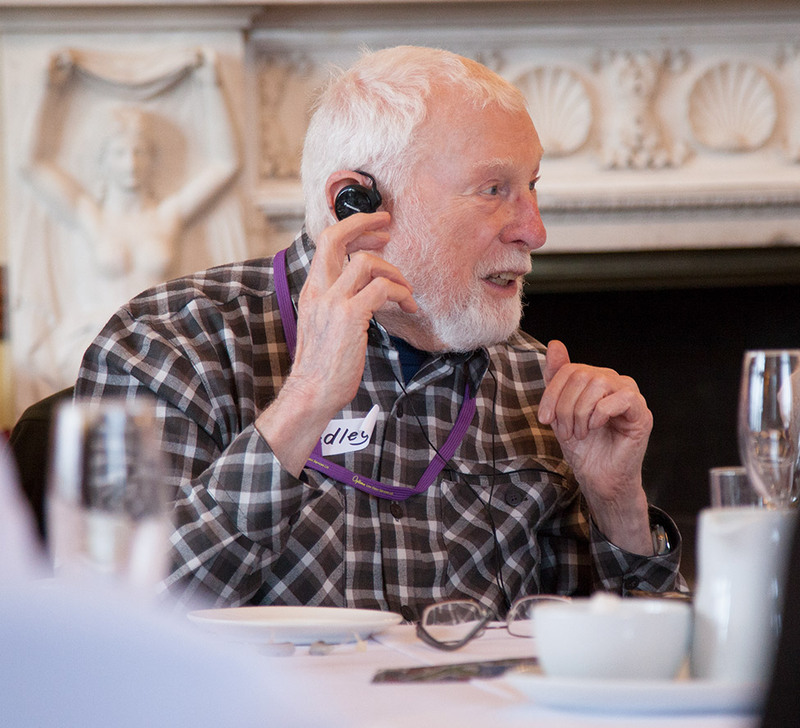 You need specific skills and learn about good practice to guide someone with deafblindness – but it won’t take long with our HiVisUK course. A donation to HiVisUK of £50 will enable someone in the family or a volunteer to learn these skills on our course. Talk with us about the range of ways your donations can really help change lives. Imagine your favourite film or TV programme, or the much anticipated latest book by one of your best loved authors. Then think how it feels for an older person who was just like you until, over time, their sight and hearing become too poor to enjoy these anymore. If they could call on someone who knew how to adapt their home with simple low cost gadgets and changes to help them read or watch the TV again what a difference it would make to them! 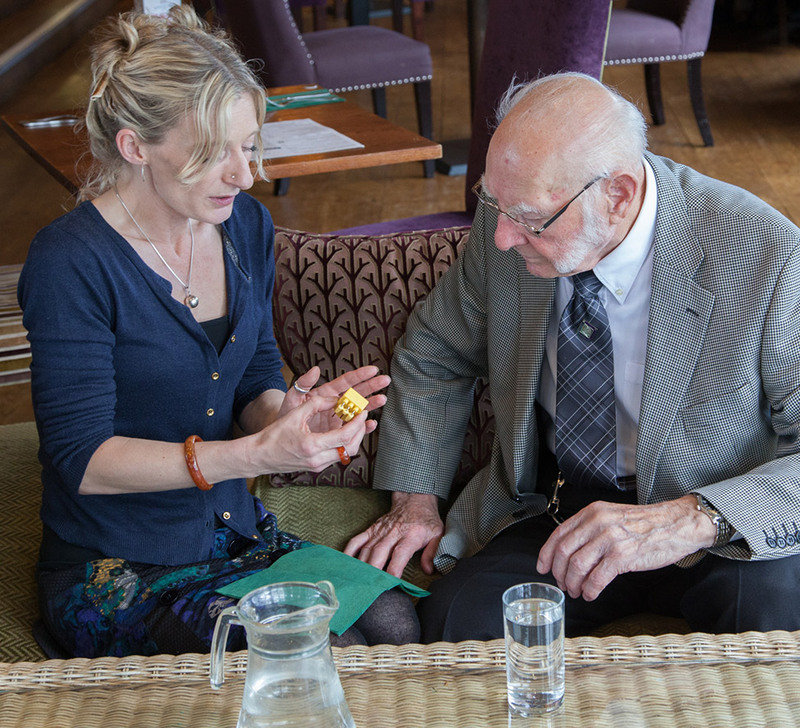 Training carers and family members in one of our foundation courses will do just that. 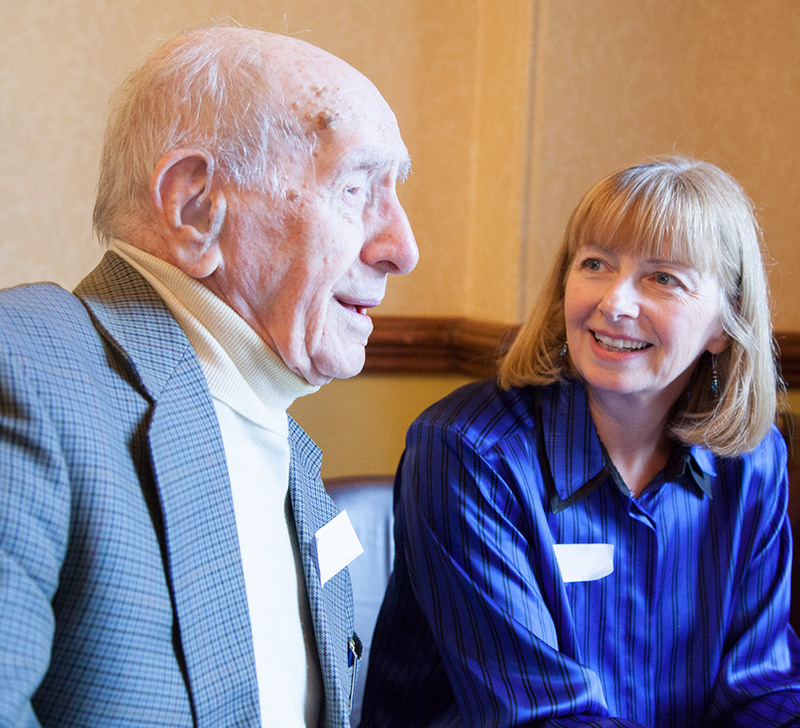 With a single donation of £80 to HiVisUK you would enable us to offer a free place to someone who could then help that older person with dual sensory loss. Oh and don’t worry that once they start watching the TV again they might have the telly blasting out so they can hear it – our training covers that as well! Talk with us about the range of ways your donations can really help change lives. Please give a donation via our “Total Giving” charity page.